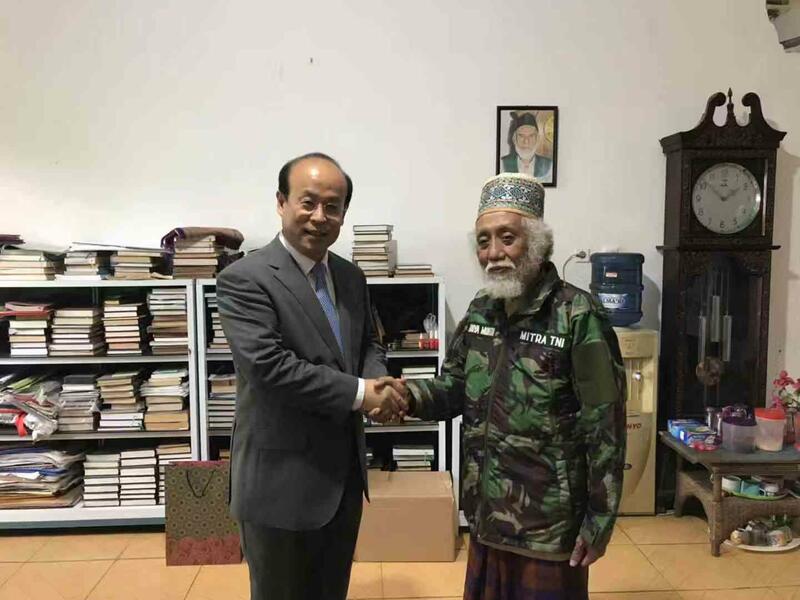 On Feb 21st, during his visit to Banten province, Ambassador Xiao Qian made a special trip to Pandeglang to visit the renowned Islamic leader and Mustafa PBNU Abuya KH Muhtadi Dimyati. 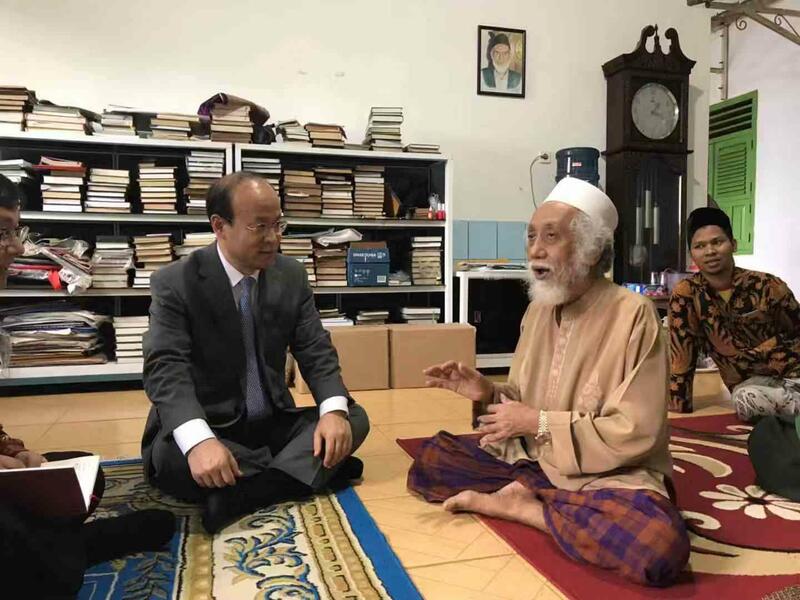 Ambassador Xiao applauded Abuya Muhtadi and his family for the significant contribution to Indonesia’s national solidarity and social stability. Ambassador Xiao briefed Abuya Muhtadi the positive progress of China-Indonesia relations in the past years, as well as religious belief in China, China’s policy regarding religion, and the real situation in Xinjiang. Ambassador Xiao said, China is a genuine friend to the Islamic world. China and Indonesia has been understanding and supporting each other all along on issues regarding sovereignty and territorial integrity. The Chinese side will continue its communication and exchanges with the Indonesian society, and wishes that Muslim friends in Indonesia will look at Xinjiang-related issues in a fair and objective way. Abuya Muhtadi thanked Ambassador Xiao for making special arrangements to visit and giving a brief. Abuya Muhtadi said, upholding national unity and territorial integrity is the responsibility of the government. Muslims and non-Muslims should live together in peace and solidarity, and should resolve misunderstandings through peaceful and friendly communication. Abuya Muhtadi expressed his belief that the two countries should strengthen religious and cultural exchanges and his resolve to render support in this regard.